Could there be a chance that the air in your home is polluted by a completely odorless and colorless gas that damage lungs and can potentially give you and your family lung cancer? Wouldn’t you want to know if it was in your home? The gas in question is radon, and given that January is Radon Action Month; a month when we normally spend much more time indoors; it is a good time to learn more about it. A few years ago, I became concerned about radon in my my home because the bad news is – Walworth County is a high risk area for radon. The soil in our area contains an unevenly distributed and generally small amount of uranium, the same mineral that is mined for fueling nuclear power plants. When uranium starts breaking down in soil, rock or water, one of the byproducts of this breakdown is radon gas. If your house is built on soil that contains some uranium, this radioactive gas can seep through cracks, sump pumps and other openings in basement floors and walls. The location of radon can be very sporadic. Your home may have a high radon level, and your neighbor’s home can be just fine. Make sure your indoor air is safe from radon. The EPA estimates that radon is responsible for about 21,000 lung cancer deaths every year in the U.S. It’s the second leading cause of lung cancer in the U.S. If you do smoke and your home has elevated radon levels, your risk of lung cancer goes up even more. The good news is that this problem does have solutions. The best way to find out if you have a radon problem is to do a radon test. The Environmental Production Agency (EPA) and the Surgeon General of the United States recommends that the test be done in the living areas of your home where your family spends most of their time. The testing procedure is very simple. It involves buying a small test kit, setting it up in the living area following the instructions, leaving it in place for the amount of time indicated, and then sending the kit back in a self-addressed pre-paid mailer. The lab will send you easy to read results within a week or two, or even earlier if you provide your email address. Testing is inexpensive. You can get a test kit from the Walworth County Public Health Department for $10. (Contact Walworth County Public Health at 262-741-3140 to pick up a kit.) Or you can purchase mail- in test kits for less than $25 at local hardware stores. I did the radon test on each floor of my home and found that I had a very high level of radon gas detected in the lower level and first floor; the main living areas. Since I had a problem, I knew I needed to install a system that would get the radon out of my home. Such systems need to be installed by a qualified contractor. While the cost of fixing this problem can seem high (typically $800-$1,200) it is a real bargain when weighed against removing the threat of lung cancer from your home. The winter months are the perfect time to test your home for radon and make sure that your family is protected against this invisible threat to their long-term health. If you find out that you too have high levels of radon in your home – call me at 262-723-3588 for qualified radon mitigation specialists to contact. Universal Design is all about creating supportive spaces for everyone. Not only because by 2030, the population aged 65 and over is projected to surge by 65%, but also to create beautiful, flexible spaces for the rest of us. We need to design homes that are accessible to everyone from grandma to grandkids. When you employ Universal Design principles – the flexibility of the spaces supports the users, instead of users having to adapt to how a space is designed. For instance – a family may have a person who is 5 feet tall and a person who is six feet 3 inches tall. If you plan the kitchen and the master bath carefully, you create comfortable spaces for both. You also want to design your home for “visitability.” Think about your relative or friend who has trouble going up stairs. Maybe there is a friend of your child who is in a wheel chair. Or taking care of your mom after hip surgery with a pleasant and accommodating space to recover. Why is Universal Design so important to New Construction? With a greater variety of people living in a home today, there is a demand for flexibility and multi-tasking within spaces so it works well for all the people who come into it. Most people want to age-in-place in their home. Universal Design concepts support and inspire us to continue a healthy and active lifestyle in our own homes. Sustainability is a factor. A universal home design will last without major future remodeling. Less future cost and waste. When planning your home, think how the needs of the space can change throughout a family’s lifetime. It is better to plan the design right the first time instead incurring large remodeling costs later because the hallway and doorways are not wide, you didn’t plan a space for a future elevator, and didn’t plan for a shower without a threshold. Higher resale value. If you want to sell your home, a home that is universally designed has many more potential home buyers. 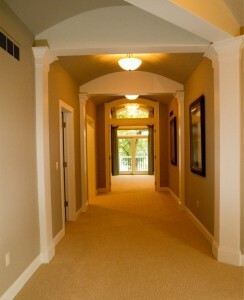 This wide hallway is a beautiful feature and also accommodating. Universal Design is best and most easily incorporated during the planning phase of your home. At this point it will be the least costly and most natural. Basically it will be invisible and more of an enhancement to the overall home design. Outside of the kitchen and bath areas; also consider the entries to a home, improving the lighting and creating easy access to storage. The Universal Design principle is simple: To create a home that anyone could live in. What are the characteristics of the property? To know what your home building potential is, you should obtain a complete topographical survey of your property. A complete topographical survey will map out the contours, trees, flood plain, well and septic location, power poles, and existing drives. In addition, information on the adjacent properties can be added to the survey. 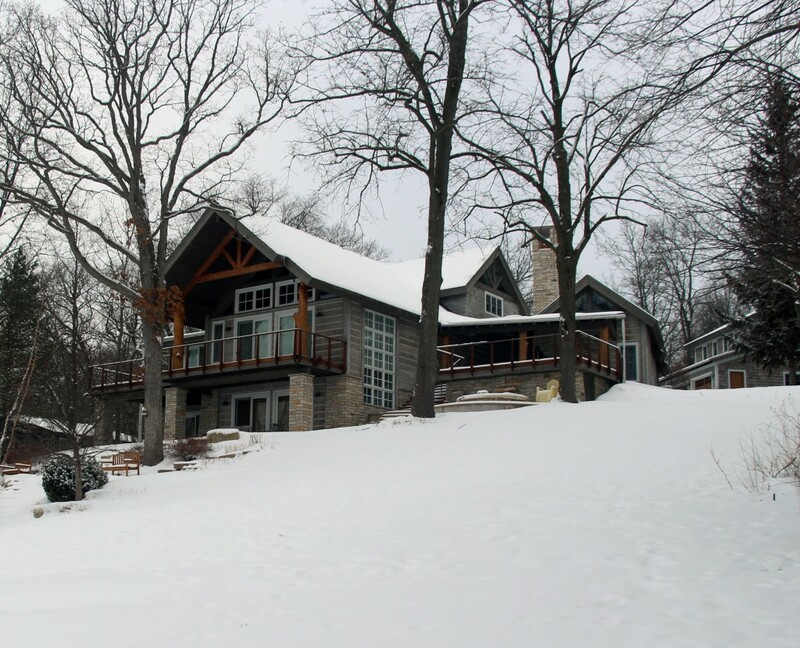 It’s very useful to know the edge of the existing homes with sideyard and lake setbacks, the elevation of the structures, and the mature tree locations within 10 feet of the property line. What are the Setbacks? There are building codes that apply to your property. Municipalities have setback requirements for roads, fences, drives and more. 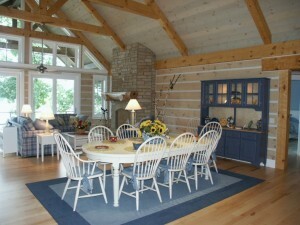 An experienced builder will be well versed in the regulations and codes and design your home accordingly. Sometimes a variance will be needed and requested from the town and/or the county board before proceeding with the project. The home design drawings and where the proposed home will be located on the property (on the survey) are submitted when applying for zoning and building permits. In addition to building setbacks, state statutes require counties to adopt ordinances on shoreline zoning that include limits on how close structures can be placed to the water’s edge and the requirement to minimize clear-cutting of trees in the nearshore area. What type of soil is on the property? A soil scientist bores holes in the soil and tests for plasticity (how much the soil expands and shrinks) Many factors can be revealed by boring holes in the soil, like depth to bedrock, overall soil stability and depth to the water table. These factors can greatly influence where you will want to build your new home. All of the above are all things to be mindful of in determining where to place your home. 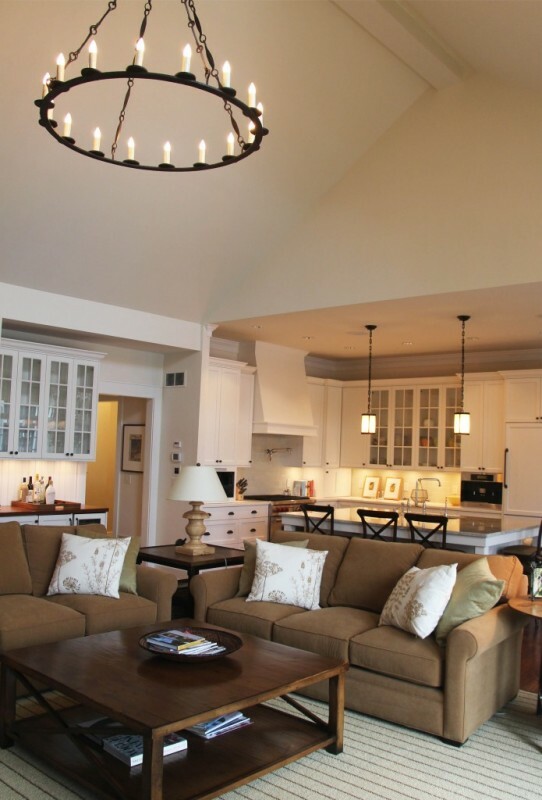 Your home site can also be the source of inspiration for your home design. When you look at your site for inspiration, good ideas tend to come very naturally. And by taking a meaningful approach with your builder you’ll have a home design that has unity with the land and interplay between the indoor and outdoor environments. The time and energy spent in the early planning phase pays off with a home that maximizes the simple enjoyment of a well-designed home. Are you a little apprehensive about building or remodeling your home because of hearing negative home building experiences from friends and family? Relax! By taking care to choose your builder wisely, being part of the team, having a realistic sense of budget and time completion , your home construction can go smoothly and dare we say it – even be enjoyable! The most critical of the four steps is choosing wisely who will build your home. Most of us do not have the time or the expertise to research every type of technology, material or plan design that can be used in a new home or home renovation. By using an experienced company you can rely upon their years of experience to guide you in the right direction. Are they going to be the least expensive? Probably not. (They may not be the most expensive either.) A good builder will often save you money value-engineering the home design and giving you the pros and cons of various material selections. An experienced builder will depend on the client’s input throughout the design and planning process as much as the client depends on the builder. By listening carefully to what you need and desire during the home design process, you work out the design issues most important to you and stay on budget. 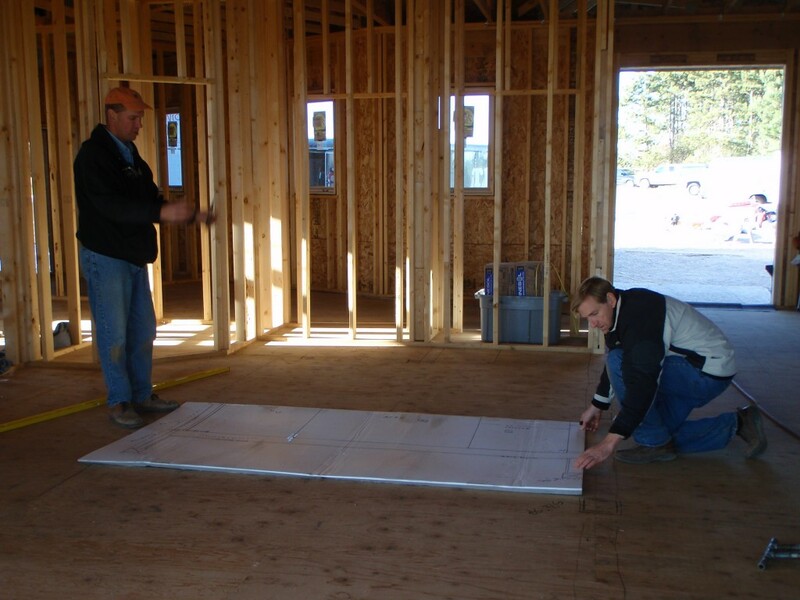 Robert Thelen, job superintendent, and Randy Thelen, owner reviewing a layout on a job. 2. Be Part of the Team and Communicate Frequently. 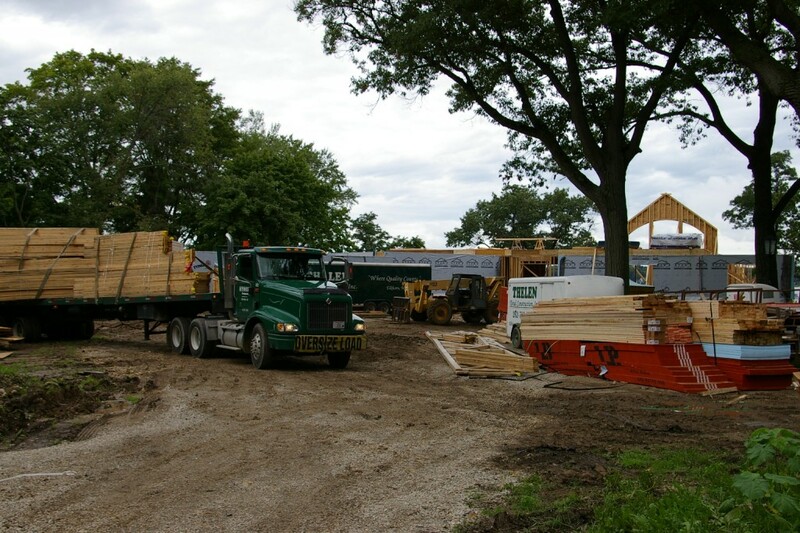 Ask your builder to assist you in understanding what is being done at each phase of the construction project. If you don’t understand something, ask. If something does not “look right” to you – bring it up. Sometimes you catch a potential mistake; sometimes you need to modify something about the design. The earlier you do so saves everyone’s time and money. You should plan on frequent status reports and meetings on site to go over important issues. 3. Establish Your Budget and Add 10 – 15% to it. Be sure to set aside a construction contingency fund for the unforeseen issues that will come up. An example would be the well drilling estimate for 100 feet and your well requires 300 feet, at an additional cost. You can be determined to stay within your budget on allowance items such as flooring, appliances and cabinetry, but what if you fall in love with a certain expensive countertop and it becomes a “must have”? Having an extra cushion you budgeted for makes for a more enjoyable experience. Ideally, your builder will take the time to carefully plan and build your dream home most efficiently. It takes time to work out the details both in the design planning phase and sometimes issues can only be resolved on-site. During the beginning phase of construction, extreme weather can cause delays. Later on, your time making decisions on material selections can also impact the schedule. Just like a construction cost contingency, you’ll be wise to build in a time contingency as well. You may be envisioning enjoying your new home in time for Thanksgiving, and most builders try their best – but realistically there could be a chance the building project will go late. Do yourself a favor: Have a back-up plan in case you can’t be in your home on your exact date. 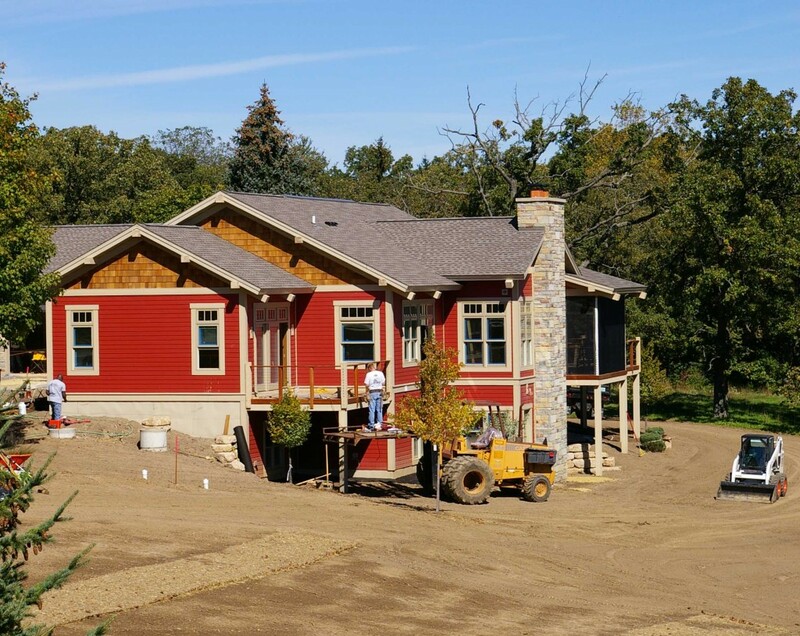 Few things in life are more exciting than designing and building a new home! By doing your “homework”, knowing what to expect during the design and building phase you’ll have a rewarding experience and a home that will be a joy to live in and share.